Looking for a low interest loan to finance your higher education? Private student loa﻿n﻿s from Discover may be the product you want. With no fees, low interest rates, and forbearance options, Discover is a market leader in private student loans. But these loans aren’t for easy money. Borrowers need an excellent credit score or a cosigner to get the loans. Think a private student loan from Discover makes sense for you? We’ll explain the loan features and scenarios where a private student loan from Discover makes sense. The great thing about Discover is that they are on the Credible platform. This means you can easily compare how Discover student loans compare to other major lenders in 2 minutes or less. Check out Credible and see how Discover compares here. What if I have trouble paying my Discover Student Loan? Cover up to 100% of school-certified costs with a Discover Undergraduate Loan at an eligible school for your Bachelor's or Associate's degree. This loan is a great option for borrowers who need a little more than their Federal loans to pay for school. You do not have to make payments while you're in school, and you get deferment for 6 months following graduation. You also have the option to make $25 per month payments while in school if you want to put a little towards your loans. This loan has no fees (like all Discover loans), and doesn't require a cosigner if you have great credit. However, most borrowers will still need a cosigner for their student loans. Discover has an interest rate reduction program of 0.25% when you enroll in direct-debit to make payments for your loan. You can also earn a 1% principal loan reduction if you earn a 3.0 GPA or higher when you graduate! That's a good deal. These loans have a 15 year repayment term, which is longer than the Federal standard plan, but lower than other options out there. Rates are current as of September 4, 2018. While we strive to accurately reflect rates, they are subject to change without notice. Please check out Discover for the latest rates and terms. ​When Does This Loan Make Sense? With Variable rates as low as 3.99%, the undergraduate student loan from Discover sounds like a good deal, but most students should avoid private student loans for their undergraduate degree.. Most students should be able to pay for an undergraduate degree with a combination of savings, federal loans, scholarships, and work. Federal loans offer more flexible repayment terms, and your parents or grandparents won’t have to cosign on the loans. If you’re contemplating private loans for your undergraduate degree, you may need to find a less expensive school. Graduate Loans from Discover cover loans for Law School, Health Professional Schools (such as Medical or Dental school), MBA programs, and traditional Graduate and PhD programs. With loans from Discover, you can cover up to 100% of your school certified costs. Discover Graduate loans operate very similar to the undergraduate loans, with a few changes. They continue to offer in-school deferment, but graduate loans give you a 9 month grace period after graduation, versus a 6 month for undergraduate loans. You can also opt for the $25 per month student loan payment while in school if you prefer. 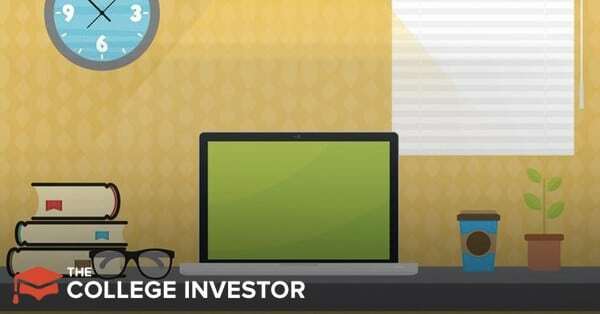 These loans also don't always require a cosigner, but strong credit scores and history will be required. These loans also have a 0.25% interest rate reduction when you sign up for direct debit, and a 1% loan principal reduction if you earn a 3.0 GPA or higher. Discover Graduate loans come with a 20 year repayment plan. When Does This Loan Make Sense? Private graduate student loans make sense in some circumstances. If you expect to have a high salary and low unemployment following graduation, private loans are a reasonable way to finance your education. Of course, it’s easy to delude yourself about your job prospects following graduation. To keep you in check, Georgetown published an unemployment and salary guide for students. You’ll never want to borrow more than your expected first year salary following graduation. 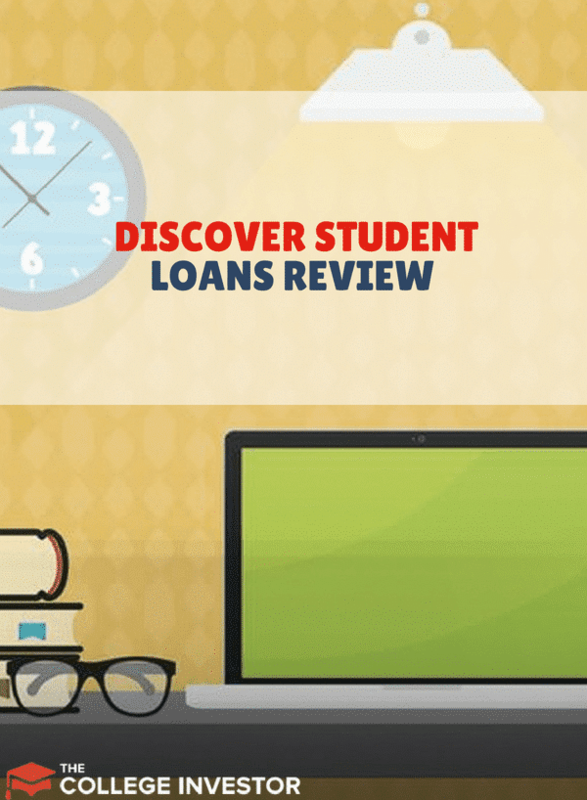 Loans from Discover make particular sense for students with established credit histories who can qualify for great interest rates without a cosigner. The graduate school loans from Discover aren’t as flexible as Federal Student Loans, but they carry low interest rates. If you need to borrow for graduate school, weigh the flexible repayment terms of the Federal Student Loans against the low interest rates of private loans. It’s up to you to decide what’s best. Following medical school, most doctors move into a residency program. While most residency programs pay doctors, doctors must pay for housing and moving costs. Plus, residents often experience the high costs of starting a family during residency. With the Discover Resid﻿﻿ency loan, you can cover the cost of your residency, internship, relocation and board exam review. $18,000 for Allopathy, Dentistry, Optometry, Osteopathy, Pharmacy, Podiatry and Veterinary Medicine. Discover residency loans don't require a cosigner if you have an established credit history. Otherwise, you will need to find a cosigner for your loan. While you're in residency, you can defer your payments for up to 5 years. You can also choose to make a $25 per month payment during this time. The repayment term for residency loans is 20 years. Borrowers can also get a 0.25% interest rate discount when they sign up for direct debit. If possible, avoid taking out loans during residency. A resident’s salary is small, but it should cover the expenses associated with residency. Consider negotiating for a relocation package if moving costs will drive you into debt. If you can’t qualify for a relocation package, don’t turn to loans just yet. First consider opening a 0% APR credit card. Use the 0% credit card to finance expenses for a few months, and then work on aggressively repaying the credit card. Residents should also consider refinancing their student loans at lenders like SoFi or Splash Financial. Both offer great perks to residents and doctors who refinance with them - and it can save you a lot of money. Law students can cover their living expenses and bar exam costs with a low interest loan from Bar Exam Loan from Discover. This loan has a limit of $16,000 for bar exam prep. It's available for current law school students, and has a grace period that extends for 6 months after graduation. If you're already a graduate, repayment begins immediately. This loan doesn't require a cosigner if you have an established credit history, but many law school students will likely find themselves needing a cosigner. This loan has a 20 year repayment term. Ideally, a young J.D. can find a job with a firm who will pay their salary while they study for the Bar Exam. Increasingly, such an arrangement is fairy tale. Many law school graduates need a loan just to become firm legal. If you cannot cover living expenses in between graduation and the bar, consider a few options. First, cut costs to the bare minimum. You’re practically living in the library anyways, so renting a bedroom in a house is fine. Next, try to cover your costs using any remaining savings a 0% APR credit card. If that fails, go on to a private student loan. Discover also offers student loan refinancing (they call it a consolidation loan - but it's really refinancing). They allow you to refinance both Federal loans and your existing private student loans. Discover student loan refinancing has zero fees - which is awesome for borrowers. They may require a cosigner if you don't have a strong credit history, but it's not required for all borrowers. To refinance student loans, you must have at least $5,000 in loans, but under $150,000. If you have more than $150,000, you might need to look at alternatives like Citizens Bank or LendKey. Discover consolidation loans have two repayment terms - 10 years and 20 years. And the rates you'll be eligible for reflect that term. If you graduated from school with debt, and you’ve got a steady job with a decent salary, it might make sense to consolidate your debt and lower your interest rate. Consolidating to a private loan means you lose income based repayment options. But with Discover, you’ll retain the ability to defer loans if you return to school. If you want to refinance your student loan, be sure your credit is in great shape and shop around for the best interest rates and terms that fit your life. Make sure you always shop around when it comes to student loan refinancing. We recommend Credible to refinance your student loans, and if you do, you can get a $200 bonus. Check out Credible here. Discover wants their borrowers to succeed and repay their student loans. As a result they’ve created several programs to help borrowers avoid delinquency. In addition to offering a 6-9 month in school deferment program (when you don’t have to make payments), these are the plans Discover offers. Early Repayment Assistance - A 3-month extension of your grace period. Payment Extension - If you fell into delinquency, Discover will revive your loans if you make 3 consecutive payments in 90 days. To find out if you qualify for one of these programs call the Discover Repayment Assistance team at 1-800-STUDENT. Compare all your student loan options at Credible. Have you considered a Discover student loan before? Do you use any of Discover's other products? Discover student loans is an online private student loan lender that has one of the largest amounts of loan options available to borrowers. They have decent rates and some perks for borrowers as well. For 3 months in a row I have had difficulty paying the loan on line and have had to call them up to make payments. As a cosigner, I do not have as much information about the loan as the borrower such as details about payments etc. I have been paying the loan for the person who stopped paying but I feel like I am seen as a money bag by discover and treated as a second class borrower by them. I hate it taking me an hour to make a payment each month. Why cant they just fix their online problems.